Trapped in his own collage trying to find a way to break free. Sam Dodson is a professional artist and former musician in Loop Guru and the Transmitters. His art explores collage in varying forms with intervention and construction. 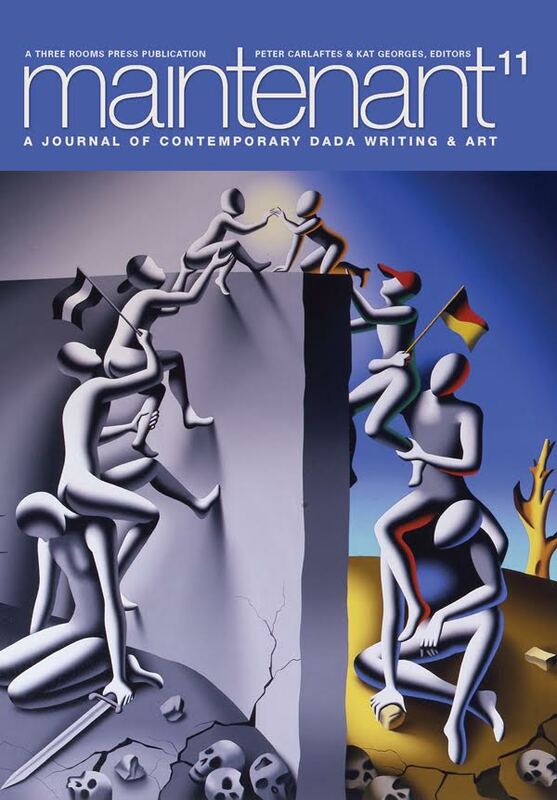 Recently three of Sam’s works have been featured in Dada and Surrealism publications and several magazines. Two of his works have appeared on album sleeves. Recently he's been involved in a project called fivers4artistic alongside such luminaries as Sir Peter Blake, Gilbert and George, Ralph Steadman and Damien Hirst amongst others. The project involves decorating old five pound notes in whatever form you like these will be exhibited and then sold at auction at Sotherby's. Proceeds go to charity. Also he has exhibited at the Saatchi Gallery London as part of the sold out Cash is King project. "Dada artist Sam Dodson describes himself as ‘a man trapped in his own collage’ and surrounds himself with a cornucopia of comic books, found objects and curious ephemera in an atmospheric studio on Johnson’s Island in Brentford嵐 Sam, aka Salman Gita, is also a talented musician who performed in the post-punk band The Transmitters in the 1970’s before forming the world beat band Loop Guru during the 1990’s and adorning many an album cover with his surreal collages" Bob Osborne, curator "Cash is King". 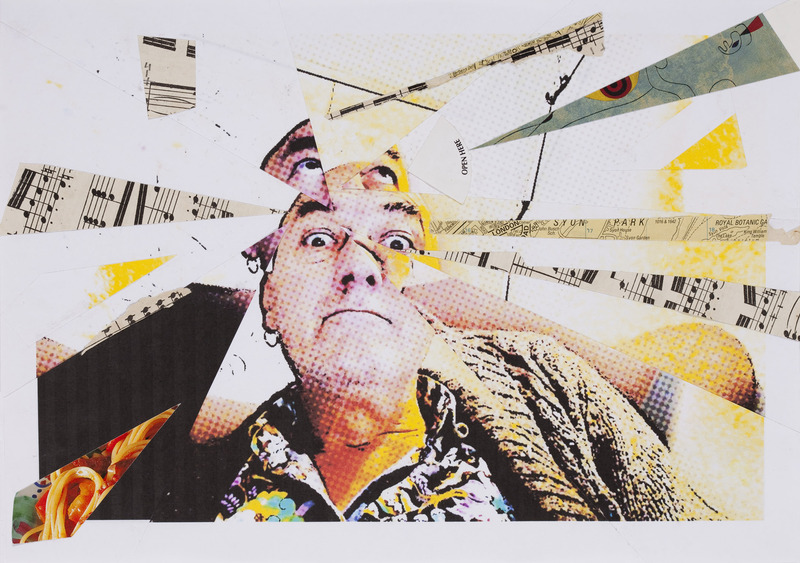 ​"Collage genius" Colin Sugden from "Artistic_UK"
Sam is a member of Johnsons Island Artists.